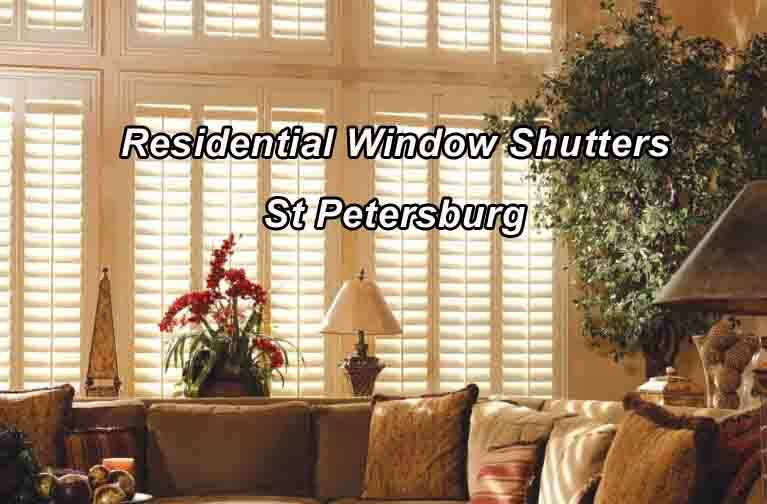 Residential Window Shutters – St Petersburg – The right window coverings are fashionable, functional and durable solutions that allows you to enjoy light control, privacy, reduced energy bills and more. Hile’s Curtain Specialties is proud to partner with Sunburst Shutters with both companies celebrating over 40 years in the business; we take pride in providing your business or home with the highest caliber of window treatments that Tampa has to offer! Beautiful window coverings must also offer privacy, practicality, and longevity. For this reason we have the best quality products in shutters, shades, blinds, curtains, drapes and window film in Tampa. On top of that, we’ll also custom craft your new window treatments to perfectly fit your windows and your taste. If it covers a window, we can do it! Window curtains, swags, cornice boards, draperies,blinds, verticals, roller shade, shutters, etc., manual or motorized. Hile’s fabricates window coverings tailored to you and your home, giving you custom interior shutters that will last and last. Residential Window Shutters – Curtains, Blinds, Shades and of course, Custom-Crafted Window Shutters in the Tampa/Clearwater/St Petersburg area. The right window coverings are fashionable, functional and durable solutions that allows you to enjoy light control, privacy, reduced energy bills and more. From the initial design consultation to the final install, we do it all. And we have the highest quality of window treatments with affordable prices. We can fabricate a uniquely custom made window treatment that fits perfectly with any decor..
Book your free consultation with one of our experienced and industry-trained designers to help us better understand your needs. Copyright © 2019 Hiles Curtains Specialties. All rights reserved.